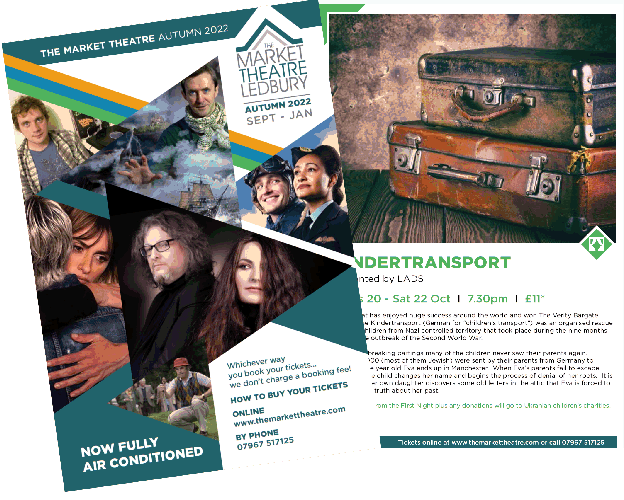 If you didn’t receive a copy of our current brochure, you may download it here. anything shown in the brochure and the website, the website is more likely to be correct! Our brochure is printed several times a year and is distributed throughout Ledbury and the surrounding area. We are building up a history of previous brochures, which may be found here.